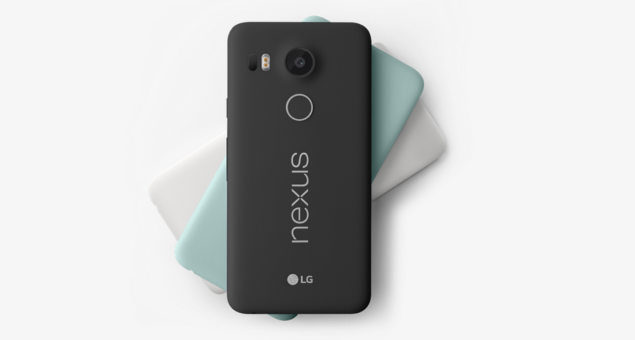 Replacing Nexus 5, Google announced the mid-range Nexus 5X made by LG. Carrying a good set of features, improved hardware and an affordable price tag of $379, Nexus 5X will be a go-to smartphone for those in love with the stock Android experience. Nexus 5X is a 5.2-inch smartphone with a 64-bit processing chip, USB Type-C support, 2GB of RAM, an improved 12.3 megapixel primary camera, and is available in three colors, including an irresistible Ice Blue. While Nexus 5X and Nexus 6P are still to hit the consumer markets and root packages yet to be made available, you can follow these steps to root Nexus 5X once you get your brand new Nexus as the root and recovery files are expected to come as soon as Nexus 5X is available in consumer markets. Create a backup of all important data on your Nexus 5X device. Download and install USB drivers for Nexus 5X in your computer. Your device needs to be on Android 6.0 Marshmallow before you follow this guide to root it. Ensure that your Nexus 5X carries more than 80% of charge. Note: Rooting your device voids its warranty; please proceed at your own risk. Recovery package and image files are still to be made available for the Nexus 5X as the device is yet to hit the mass markets. These steps will work fine once the files are available for the device. Required files: download Android SDK and install it. Set it up with platform-tools and USB drivers package in SDK. Download SuperSU v2.49 (BETA-SuperSU-v2.49.zip) for Nexus 5X on your PC. Download TWRP 2.8.7.0 or CWM recovery tool (when they are made available) and save it to the android-sdk-windows\platform-tools directory on your computer. Step 1: Extract the downloaded Fastboot file in android-sdk-windows\platform-tools directory on your PC (should be under C:\Android). Create directory if not already there. Step 2: Connect your Nexus 5X to your computer via USB. Step 3: Copy and paste BETA-SuperSU-v2.49.zip file to your device’s SD card / internal memory root folder. Step 4: Turn your Nexus 5X off. Step 5: Enter the Bootloader mode: turn your Nexus 5X on while pressing and holding Volume Down + Power keys. fastboot flash recovery *RECOVERYFILE*.img and press Enter. *RECOVERYFILE* corresponds to the .img filename of your recovery, CWM or TWRP. Optional, but recommended: Once you have a custom recovery installed on your Nexus 5X, it is highly recommended to create a Nandroid backup of your current OS so you can easily move back to it if things don’t work out. Go to Recovery > Backup > Backup and Restore. These options are a little different depending on the recovery you are using. Step 8: In the recovery mode (CWM or TWRP), scroll down to flash zip from SD card > choose zip from sdcard. Step 9: Using the volume keys, locate the BETA-SuperSU-v2.49.zip file and select it. Confirm the installation process. Step 11: After installation is completed, go to +++++Go Back and reboot your Nexus 5X. First boot may take a few minutes so please be patient. Ta da! Your Nexus 5X is now rooted on Android 6.0 Marshmallow. To confirm the root access, use any Root Checker app to verify the root. Don’t forget to let us know about your experience with the new Nexus device and its shiny new operating system.